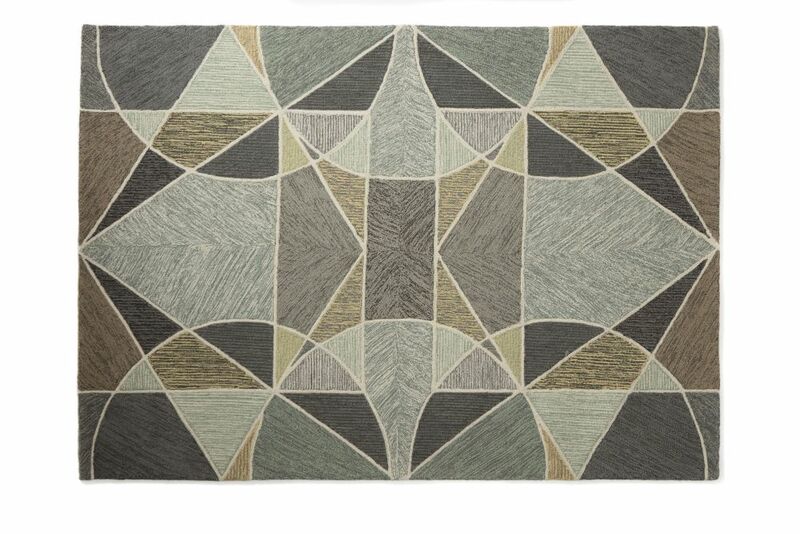 Inspired by various cut facets in natural rock formations, this patterned rug is a modern take on Lindsey's stylishly bold geometric patterns. Colours melt into one another with a looped effect which creates an overall natural textured and tonal quality to suit any space. It’s been crafted by expert artisans in India through a hand-looming process, which gives the lush pile different textures underfoot and a natural, organic look.